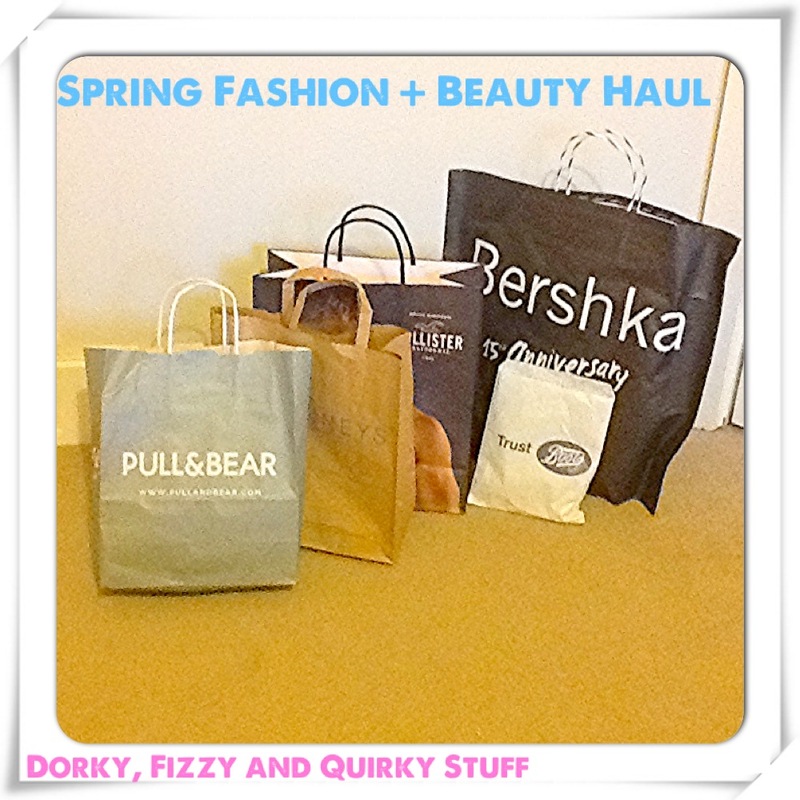 Spring Fashion + Beauty Haul: Hollister, Pull and Bear, Bershka and more! I went shopping recently and got a good few buys from different shops and I would love to show them to you! I am so happy with everything I bought here and I can't wait to get wear out of all my new clothes and make up. Disclaimer: I am not showing off or bragging. I was just wandering around in Hollister while I spotted one gorgeous mint green flowy jumper that's a sort of crop top. I just had to get my hands on it. And the shorts I wasn't very sure of at first, as they are quite short on me, but I think I'll only wear them at the beach or when I'm on holiday in a very hot country. I might be going to Greece this summer, and Greece is very hot, so I will most likely be wearing them then, not in cold and wet Ireland! The jeans from Pull and Bear are super nice and not too pricey at all! They are great quality and I bought bright blue ones last summer (you can see my Summer 2012 haul here, but I'm warning you, it's tiny compare to this one). This year I decided to go for red ones. I really want more coloured jeans, as I'm growing tired of my denim pairs. Not that I'll never wear them or anything, I just need some colour in my wardrobe. These are really hard to get on, but once they're on they're actually very comfy. I'm so excited to wear these and I bought some tops in Bershka that I think will go very well with these jeans. Also my mint green Hollister top goes lovely with red. So Bershka just has to be my favourite shop of the moment! Every time I go there I see something amazing and I just have to get it! So in Bershka I bought another pair of jeans but this time they're dark pink, and I got three tops. This top is super cute and completely lace at the back, but you obviously can't see the back. I think it will look gorgeous with red jeans and I will definitely wear a white tank top underneath, I don't think any other colour would work. I will post a Spring Lookbook when I come back from Connemara and I will hopefully use most of the clothes I bought from this haul! This blue sun top will be for summer most likely because it's not that sunny in Ireland, as you might already know. I love the design of this top, so summery and pretty. Again, it goes well with the red jeans, and I'll look like the french flag. Epic. I fell in love with this top. This top is amazing and would be perfect for a part-ay. It looks great with the pink jeans above. I can't wait to wear this in warmer weather (if that ever happens in this country with it's complicated weather). Thanks to Bethany Mota's video, I am now obsessed! All of the bows on the left side are from Claire's and the right side are from Penney's. I just think they are so adorable and suit any occasion. For example, the floral headband is very summery and would be great to wear at the beach, and the big white lace bow would be good for a formal occasion. The mini cute bows would suit any event! I'll probably be wearing one every other day for now on! I am so addicted to visiting Boots these days. I have an advantage card, and they have amazing deals in the shop, like 3 for 2 offers. I just love Boots so much! From the Natural Collection, I bought a lipstick in the colour Raspberry and it's a gorgeous colour and would be lovely for nighttime, or daytime if you're trying to look like T-Swifty! I really wanted to get a pressed powder because I have heard it sets your make-up with a matte effect. I went to Boots to buy the Stay Matte powder from Rimmel, but decided that this powder in the shade 'Warm' was practically the same but a lot cheaper, so I went for it! I was so super happy after I bought this because I have heard from many of my favourite beauty gurus like Bethany (macbarbie07) and Lindsey (beautybaby44) that this mascara is fantastic... and it really is! No clumps whatsoever! I love it loads; it really does look like I'm wearing false lashes when I wear it. Expect to see it in a further favourites post! My 'Graffiti' dry shampoo by Batiste is nearly out so off I went to search for a new scent! I thought this one smelled amazing, so, obviously I bought it! Can't wait to use it! I so badly wanted to get at least one thing from Soap & Glory after a bought my sister a big gift set from there. She loves all of the products from it so I decided to buy a miniature version of Soap & Glory's Flake Away Body Scrub. I haven't used it yet, but I'll tell you about it when I do! 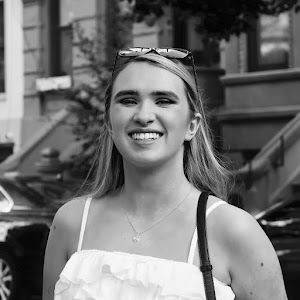 I'm off to the West now until Tuesday, and when I'm back, I'll hopefully get time to post an Easter OOTD and a Look Book before I hop on to the plane to France! I am happy with this post Many thanks for writing this story. Excellent article i like such varieties of complex information that could help to panasonic massage chairson some specific subject matter.